April 16, 2011 – A single gesture can have the greatest impact. Students at Mukubu Primary School in Kenya can’t afford to pay expensive school fees and top students rely on sponsors to continue their education. At 11 years old, Chris Mburu was one of those students. Now a Harvard Law School graduate and Human Rights Lawyer at the United Nations in Geneva, Chris finds and befriends the woman who made it possible for him to reach his highest potential – Hilde Back. An 85-year-old Jewish Holocaust refugee and school teacher in Sweden, Hilde supported Chris through primary school and secondary school with a small monthly payment. As a result, Chris completed his school requirements, graduated at the top of his class at Nairobi University and continued his education at Harvard Law School with a full scholarship. As an adult, Chris created the Hilde Back Education Fund, a program that provides scholarships for top students in Kenya who can’t afford to attend secondary school. At the time, Chris had not yet met Hilde and, with the help of the Swedish Embassy in Nairobi, he was able to finally locate her, thank her in person and invite her to the inauguration ceremony of the education fund bearing her name. Also featured in A SMALL ACT are current students from Chris’s village. Kimani, Ruth and Caroline are at the top of their class and they share their struggles and determination to improve their lives through education. Their story is reminiscent of Chris’s and his belief that education is the key to improving society. Once they are done with their studies, they plan to give back to their community. A SMALL ACT reveals the power behind generosity. Set against the backdrop of the villages in Kenya and picturesque Sweden, Award-winning director Jennifer Arnold captures the parallels of both worlds in this feature-length documentary, and the ripple effect a single action can create. The film premiered on HBO in July 2010. Along with being a New York Times critics’ pick and one of Roger Ebert’s top documentary picks for 2010, the film has received rave reviews from publications including The Wall Street Journal and The Huffington Post. “A Small Act is a blazing rhapsody: an enormously big-hearted work which, in its devastating simplicity, effectively demonstrates the exponential impact of a single gesture of goodwill,” said Time Out London. The film was an official selection at the 2010 Sundance Film Festival and has received numerous awards including the Humanitas Prize for a documentary, the Audience Award at the Nantucket Film Festival and a top ten Audience Favorite nod at Hot Docs. 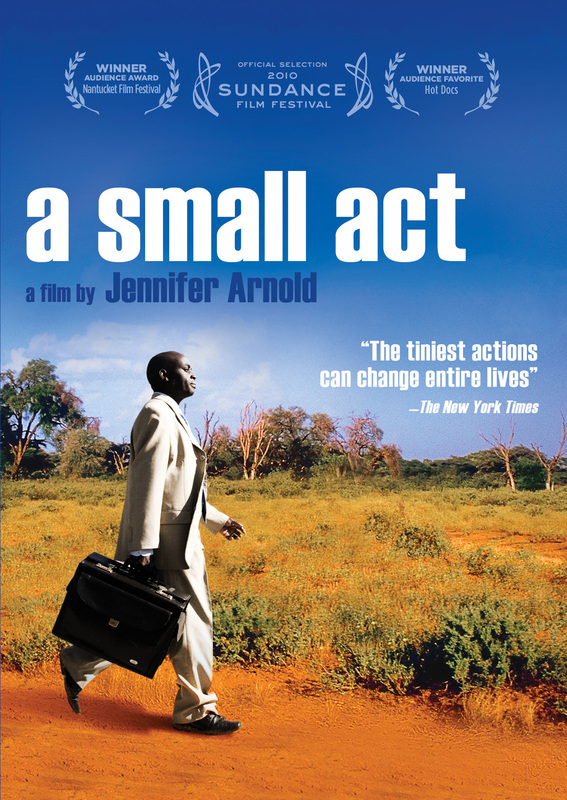 Visitors of the film’s website can share their small acts and donate to one of the many causes listed on http://www.networkforgood.org/ASmallAct. A SMALL ACT has also teamed up with Boom Boom! Cards to encourage people to spread an act of kindness and share their story online. 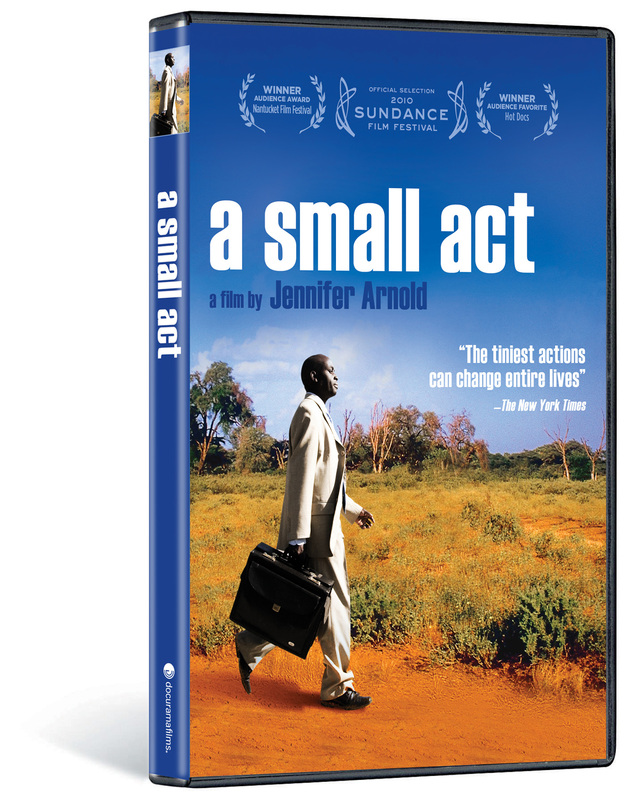 A SMALL ACT is directed by Jennifer Arnold; produced by Arnold, Patti Lee and Jeffrey Soros; executive produced by Joan Huang; cinematography by Patti Lee; edited by Carl Pfirman and Tyler Hubby; music by Joel Goodman. The DVD features deleted scenes; a “Homecoming” feature; and trailers. In 1999, NEW VIDEO launched Docurama Films® with the first feature documentary available on DVD: D.A. Pennebaker’s Bob Dylan: Dont Look Back. Twelve years and 250 award-winning, highly-acclaimed documentary titles later, Docurama continues to discover and release the greatest non-fiction films of our time while spreading the word about filmmakers who are taking the form to new heights. Docurama’s catalog features an array of topics including the performing and visual arts, history, politics, the environment, ethnic and gender interests, and all-time favorites including The Wild Parrots of Telegraph Hill, Andy Goldsworthy: Rivers and Tides and King Corn. Recent releases include The End of the Line, William Kunstler: Disturbing the Universe, Best Worst Movie, the 2011 Oscar®-nominated film, Gasland, and the first-ever Blu-ray release of Dont Look Back. Celebrating its 20th anniversary in 2011, New Video is a leading entertainment distributor and the largest aggregator of independent digital content worldwide. Headquartered in New York City, with an international presence in 45 territories, the company delivers feature films, TV programs and web originals via digital download, streaming media, video-on-demand, Blu-ray and DVD. New Video streamlines the distribution and marketing process for filmmakers, producers and brand partners to bring a wide variety of fresh content to new audiences. The company’s library includes original TV series and movies from A&E®, HISTORY™, and Lifetime®, unforgettable games and trophy sets from Major League Baseball®, storybook treasures from Scholastic®, award-winning documentaries from Docurama Films®, Arthouse Films, and Plexifilm, next-gen indies and web hits from Flatiron Film Company® and festival picks from Tribeca Film. New Video is proud to distribute the 2011 Oscar®-nominated films Gasland, Waste Land and, on digital, Restrepo.